This blog is credited to Food Matters, an amazing documentary that teaches us about our food industry. It will inspire everyone to make some changes in their lifestyles, in their eating choices, and in their attitude. Go to www.hungryforchange.tv and watch the full movie (it is free for a short period of time). This documentary is life changing! 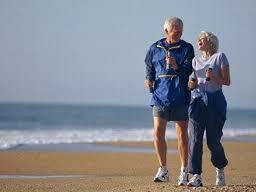 People should be living to an average age of a hundred and twenty years, with health and vibrance. This can happen if we return to the basics and change what we EAT, DRINK, and THINK! 1/3 of all women and 1/4 of all men in the U.S. are on a diet. 60 billion dollars are spent EACH YEAR on diets and weight loss. 2/3 of all dieters will regain more weight than they lost. Since 1941, there have been over 75,000 synthetic chemicals developed and released into our foods, plants, and animals! We are no longer eating real food! We are eating food like products, made to smell better, look better, last longer on the shelf, and entice us to eat more. The average American eats 150# of sugar and artificial sweeteners/ year. The average American is consuming 22 teaspoons of sugar/day . The ultimate goal of the food industry is to make us become addicted to eating more of their food, and hence spend more money on their products. To understand why we are gaining so much weight, we must understand our genetic programming. 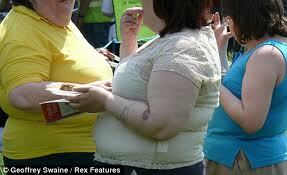 People are genetically programmed to put on fat when food is readily available. Before the agricultural revolution, there were periods of feast and periods of famine. Mother nature, to ensure our species survival, designed a metabolic system that stored fat when there was a food abundance, preparing for the inevitable period of famine. Hunters and gatherers sought a diet high in fat, high in sugar, and high in carbs. Survival depended on getting enough energy to meet the rigorous needs of the times and to have reserves to endure periods of famine. The tongue, being coated with highly specialized sugar and carb receptors, helped identify these energy rich desired foods. Bitter tasting products were likely poisonous and avoided. Our ancestors needed fast energy to meet the demands of their time and ensure their survival. Hunting was hard work, and defending from enemies required a ready source of highly available energy. In modern times, we have food in abundance (though it is high carbohydrate low nutrient dense food) but no famine. The problem is that our bodies are still genetically engineered to behave as in the time of feast and famine. We eat, excess goes into fat and is stored, waiting for the famine to occur. The problem is the famine never occurs! Though we are overfed, the highly processed, nutrient lacking foods cause our cells to be starving (they are not receiving the nutrients they need), driving us to crave more food, the body’s attempt to seek nutrients to satisfy the body’s needs. We were not meant to be indoors, have little exercise, be flooded with EMF (see the blog on EMF for more details on EMF), and eat processed food with high calories and poor nutrients. We aren’t using the calories we eat. We are becoming lethargic, obese, and as a society, are suffering severe health challenges. We go to the doctor to get a pill to feel better instead of addressing the underlying cause. The average life expectancy is only 78.1 years. Like alcohol and tobacco addiction, obesity is caused by an addiction to food. Food manufacturers add chemical derivatives like MSG and Free Glutamates to “enhance flavor” but these chemicals excite a part of the brain that activates the fat storage program. 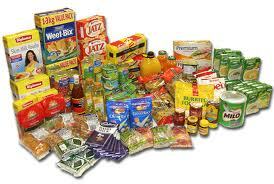 80% of all processed foods (foods that come in a box, bag, or can) contain these chemicals. They may be hard to identify on the label because they are hidden under over 50 different names. The body and brain crave nutrients. 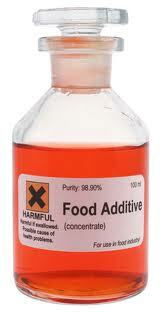 The food industry has manipulated the chemical structure of food leaving it nutrient empty. When we eat highly processed foods, the body is momentarily tricked into thinking it got nutrients, but when the body discovers there are no nutrients, it craves more food. Sodas create a biochemical change in the brain resulting in a momentary feeling of elation. It drops off rapidly and leaves an “empty” feeling. Phosphoric acid in soda leads to decreased mineral bone density. Sodas also lead to neurologic disorders. Diet cola contains Aspertain and caffeine. Together the combination creates excite toxins that kill brain cells. Right before the brain cells die, it creates a “buzz” or feeling of euphoria or feel good. FACT: Processed sugar, Aspertain, and MSG create addictions! Aspertain is also known to cause formaldehyde to accumulate in the brain, contribute to frontal lobe inflammation, migraines, multiple sclerosis like symptoms, seizures, vision problems, and cognitive dysfunction (memory impairment). 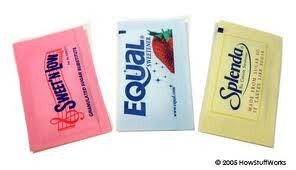 Artificial sweeteners create weight gain and carbohydrate cravings. The Japanese in the 1970’s discovered how to separate fructose (a naturally occurring sugar in corn) from corn syrup. High fructose corn syrup (HFCS) is cheaper to make than refined sugar. HFCS is highly refined and processed. It is an isolated chemical manipulated from the original whole food. It is highly addictive and changes the brain’s chemistry. The use of high fructose corn syrup leads to diabetes and obesity. High fructose corn syrup is like jet fuel to our body. It is the cocaine of food. Cocaine comes from a plant leaf. In the natural state the leaf can be brewed into a tea and drunk safely, even offering health benefits. When the cocaine is extracted and isolated from the leaf it becomes addictive and deadly. Like cocaine, HFCS is an isolated product that is deadly, yet it is in over 80% of processed foods! Start reading food labels and avoiding products containing high fructose corn syrup. 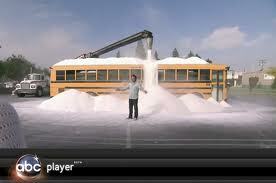 Sucrose (table sugar) comes from beets and sugar cane. Beets and sugar cane in their natural state are healthy for us. The pharmaceutical version is whitened and extracted leading to a host of health problems. In the 1900’s, people consumed 15g of sugar/day. Today the average adult consumes 70-80g/day, averaging 150#/year/person. But kids are consuming 120-150g of sugar/day and 79 pounds of HFCS = 22 teaspoons/day! No wonder childhood obesity is rising at an astronomical rate! Rising sugar intake is directly proportional to the rising rate of chronic diseases seen. Sugar is addictive because it causes a beta endorphin release and soothes stress. Comfort foods, high carbohydrate foods that readily turn into sugar, temporarily make us feel better and we crave that endorphin release. Like any addiction, we crave more and more with time. 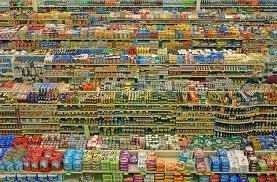 Food manufacturers falsely label food, tricking us into thinking what we are buying is healthy for us. Most people know the antioxidant benefit of blueberries and pomegranate and would preferentially buy a product with that in it, thinking they are getting real fruit and a “healthier” product. 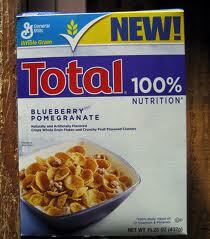 General Mills makes “Total”, a cereal labeled “with blueberries and pomegranate” but it actually has no fruit in it. The “blueberries” are made from propylene glycol, hydrogenated fats, sugar, and artificial color. Most processed foods have added sugar. Milk is flavored with added sugar! By the time children finish elementary school, they have consumed a wheel barrel full of sugar just from milk! 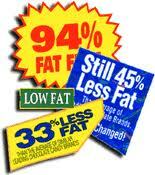 Another misleading trend is “Low Fat Foods.” Food manufacturers make us think fat is our enemy. 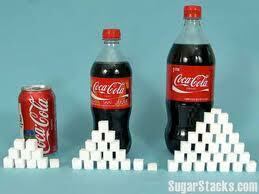 They have replaced the fat with higher carbohydrates (more sugar) resulting in even fatter people! Fat free foods are loaded with sugar. High blood sugar levels cause the pancreas to release insulin (insulin stabilizes the excess sugar in the bloodstream). Insulin takes that extra sugar, turns it into fat and stores it in the fat cell to be used later when there is a famine (but remember we are missing the famine part of this process). Repeat: In the body, carbohydrates turn to sugar causing insulin release, insulin turns the sugar into fat and the fat is stored in the fat cells to be used during the next famine. Fats do not lead to fat. Sugars lead to fat. Carbohydrates turn into sugar within 15 min. They have a high glycemic index (meaning they turn into lots of glucose fast). 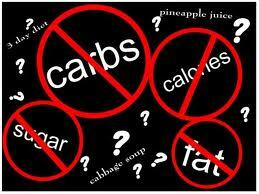 Carbs include breads, pastas, cereals, potatoes, rice, pancakes, things people eat for breakfast! I loved the documentary Hungry For Change as well! Maybe if enough people choose to eat real food, the food industry will start providing real food.